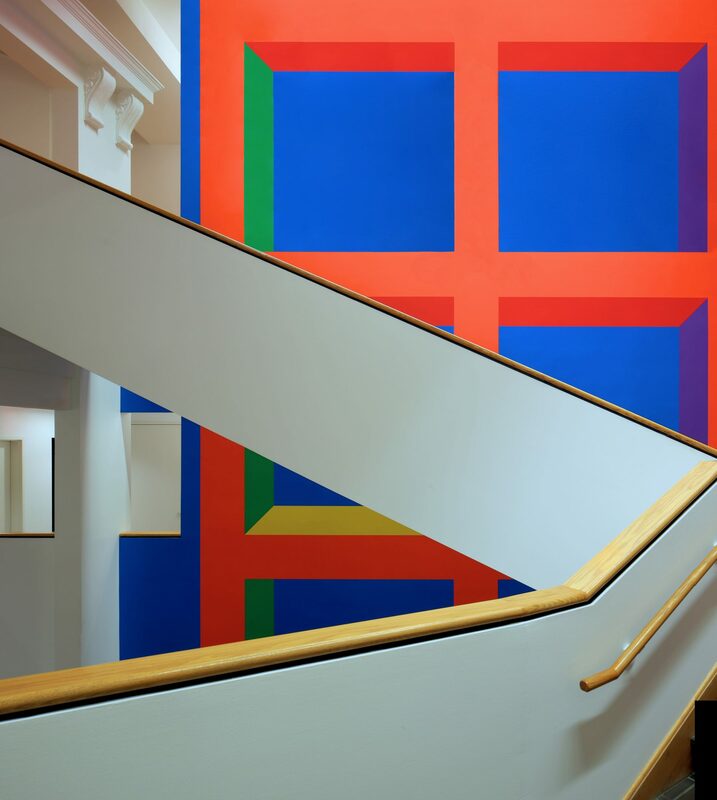 LeWitt’s wall drawings derive from a set of instructions, created by the artist but executed by others, just as a composer writes a musical score for an orchestra. Like a musical performance, the drawings are meant to be temporary and are adjusted to fit the context each time they are created. 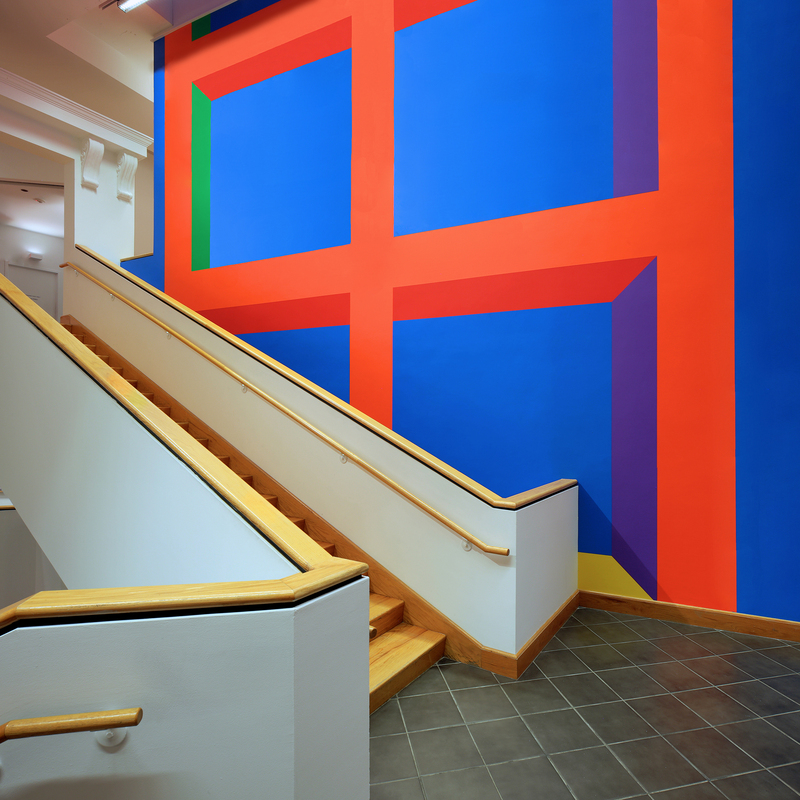 Over the course of his prolific forty-year career, LeWitt created nearly 1,300 wall drawings, four of which have been executed on WCMA’s atrium wall. 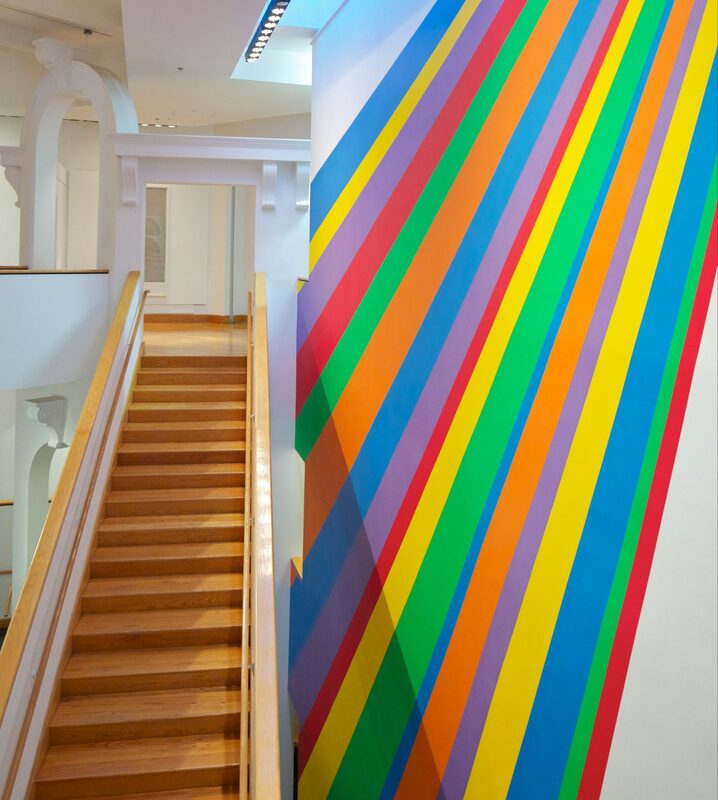 The conceptual power of LeWitt’s drawings rests in their ability to bring creative communities together. 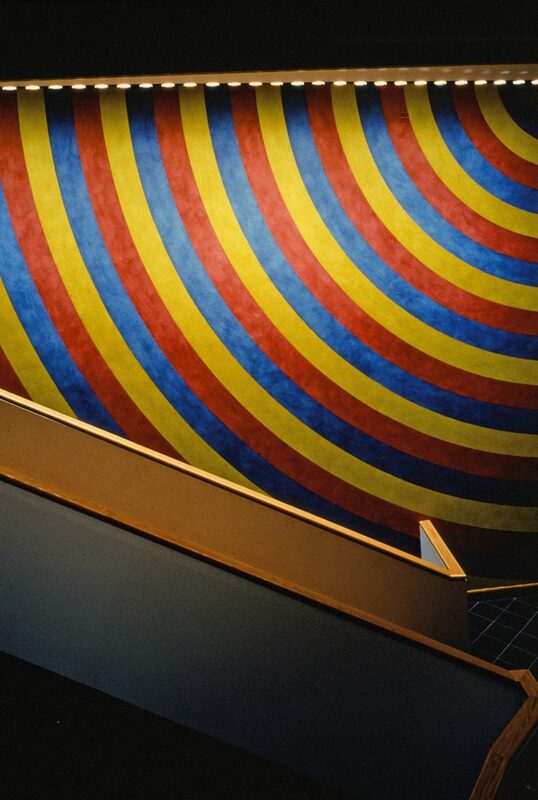 During the fall of 2015 Gabriel Hurier, a master draughtsman from the LeWitt Estate led a group of artists and Williams’ students in the installation of wall drawing #1089. They worked in collaboration with Professor of Art History Charles W. Haxthausen. The site was previously home to wall drawings: #559 in 1988 and #959 in 2001.